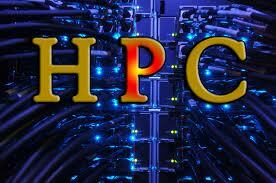 NEW ORLEANS–(BUSINESS WIRE)– At Supercomputing 2014 (SC14),Lenovo (SEHK:0992) (Pink Sheets:LNVGY) today announced several new initiatives featuring the latest advancements in high-performance computing (HPC), that bring the commercial benefits of HPC to a broader spectrum of clients and workloads. The announcements today include a state-of-the-art innovation center and a record-setting benchmark. Lenovo HPC Innovation Center in Stuttgart, Germany – This new center will establish a permanent benchmarking and R&D site for Lenovo, and will offer a broad ecosystem of technologies and skills to help clients optimize their applications. With support from key partners including Intel® and Mellanox, Lenovo is creating a state-of-the-art system, the foundation of the innovation center, powered by the new Intel Xeon® E5 2600 v3 + Xeon Phi™ coprocessors and leveraging new Mellanox EDR 100Gb/s InfiniBand interconnect fabric. While the core facility will reside in Stuttgart, the Lenovo HPC Innovation Center will call on the talents of several specialized client partners from across Europe that will operate satellite sites to further expand capabilities and advance localized research. Lenovo will leverage the newest technology, cooperation with client partners and expansive HPC skills to advance the science and broaden the adoption of high-performance computing. The installation of the Stuttgart center will begin in December and will be online for client use in January 2015. Collaboration with key client partners is already underway. The world’s highest-performing, two-socket server with the Intel Xeon E5 2698A v3 processor – Lenovo and Intel collaborated to create the Intel Xeon E5-2698A v3, a CPU optimized for HPC workloads and available only in specially designed servers such as the NeXtScaleTM System with Water Cool Technology (WCT). The Intel E5-2698A v3, when installed in the NeXtScale with WTC, is the industry’s highest-performing, two-socket server platform1, effectively breaking the single-node one teraflop barrier (1.083 teraflops) without the need for accelerators. The unique processor features 16 cores running at up to 3.2GHz with turbo mode enabled. In addition to record-setting performance, NeXtScale with WCT allows clients to create a green data center that achieves the ultimate combination of energy efficiency and performance while helping to lower total cost of ownership. Owing to the extreme efficiency of the water-cooled thermal design, processors running in the NeXtScale with WCT can reduce power consumption at a processor level by six percent and at a data-center level by more than 40 percent, as most installations can run without the need for costly chilled-water systems. A futuristic petaflop demonstration – Lenovo’s ”peta cube” demonstration showcases how one petaflop of performance — initially supported by nearly 6,000 square feet with 296 racks weighing upwards of half a million pounds — will soon be available within a condensed 42U tall, four foot- by-four foot space comprised of two standard racks. This unique engineering leverages NeXtScale System with WCT and Intel Knights Landing technology to deliver huge computing capacity in only two racks of space. The capability will allow Lenovo to provide petaflop compute capacity to mainstream clients that might currently lack the operating budget and data-center capacity to support a petaflop system. Those attending SC14 this week can learn more by visiting Lenovo at booth #1749. Lenovo (SEHK:0992) (Pink Sheets:LNVGY) is a $39 billion global Fortune 500 company and a leader in providing innovative consumer, commercial, and enterprise technology. Our portfolio of high-quality, secure products and services covers PCs (including the legendary Think and multimode YOGA brands), workstations, servers, storage, smart TVs and a family of mobile products like smartphones (including the Motorola brand), tablets and apps. Hi there I am so excited I found your web site, I really found you by error, while I was searching on Google for something else, Anyhow I am here now and would just like to say thank you for a remarkable post and a all round thrilling blog (I also love the theme/design), I don’t have time to look over it all at the moment but I have saved it and also added your RSS feeds, so when I have time I will be back to read a lot more, Please do keep up the excellent job. Hi there! I realize this is somewhat off-topic but I needed to ask. Does running a well-established blog like yours take a lot of work? I’m brand new to running a blog however I do write in my journal daily. I’d like to start a blog so I can share my experience and thoughts online. Please let me know if you have any kind of ideas or tips for new aspiring bloggers. Appreciate it! Together with the whole thing which appears to be developing within this subject material, all your viewpoints are generally somewhat radical. However, I appologize, because I do not subscribe to your whole theory, all be it refreshing none the less. It would seem to everyone that your comments are generally not completely validated and in reality you are generally yourself not fully confident of your argument. In any event I did enjoy examining it. Everyone loves what you guys tend to be up too. This kind of clever work and coverage! Keep up the amazing works guys I’ve added you guys to my personal blogroll. I do love the manner in which you have framed this specific difficulty plus it really does supply me some fodder for consideration. Nevertheless, because of just what I have witnessed, I just trust as other responses stack on that people today stay on issue and not start upon a tirade associated with the news of the day. Anyway, thank you for this outstanding piece and while I do not concur with it in totality, I regard your perspective.